Maple is a commercial program. It is a computer algebra system (CAS) like Maxima or Mathematica. There are various tutorials out there on how to use Maple; this one is designed to focus on its use for digital circuit analysis; i.e. lots of use of Boolean algebra. Open Maple from the menu or from its icon on the desktop. Now result represents the complete expression for the function. 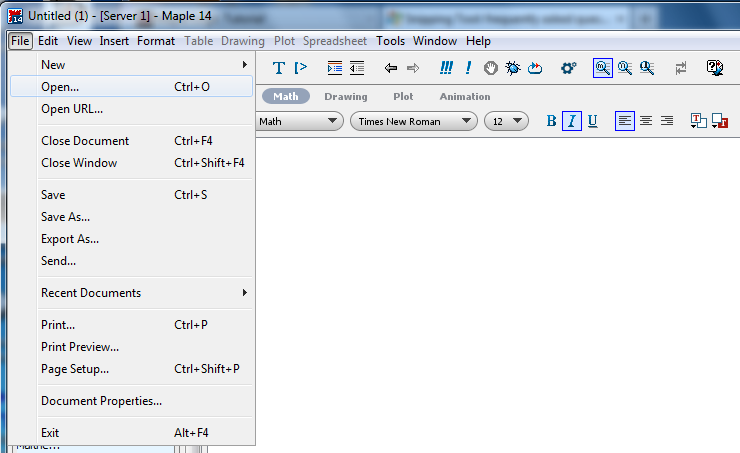 You can repeat the previous instruction with each of the different input possibilities to check the entire function. You can print the session for future reference as well.. Saving a session: From the menu, choose the option to save. Quitting maple: Choose Exit from the menu. Everything should be just as you left it. Previous statements can be re-executed and/or altered. 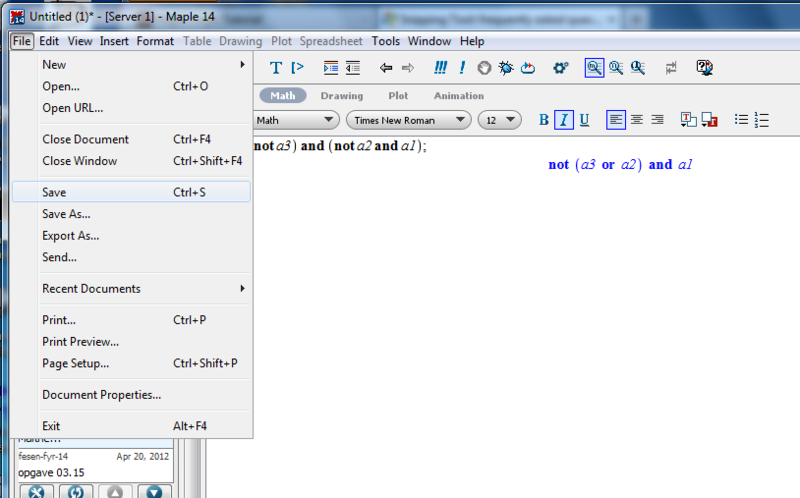 Variables can be changed by simply editing the lines on which they are defined and hitting Enter again.